Los Osos canine owners may finally get a park where they can let their dogs run wild. NEW PARK The Los Osos Community Services District and SLO County are finalizing a lease to open a new dog park in the Los Osos Community Park. 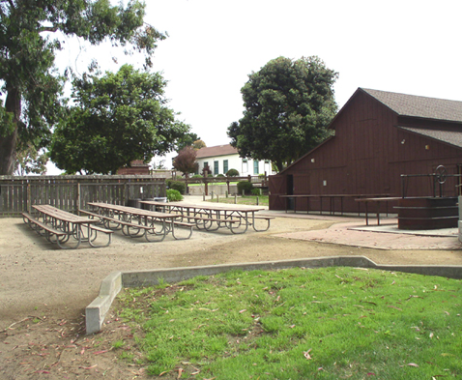 On Aug. 1, the Los Osos Community Services District's (LOCSD) Parks and Recreation Committee reviewed a lease with SLO County that would establish a new dog park in the Los Osos Community Park at 2180 Palisades Ave. The canine-specific park would go on vacant land between tennis courts and St. Elizabeth Ann Seton Catholic Church. "The community's been super supportive of this. They want it," said Jon-Erik Storm, president of the LOCSD. "We've piggybacked onto the county process." Under the draft lease, the county would allow the LOCSD to use the land as a dog park at no cost but not assume any financial responsibility for constructing or maintaining the park. Storm indicated the district could use funds from its long-idle parks and recreation budget to pay for administrative costs related to the dog park and then ask a nonprofit to take over and finance the park materials, construction, and maintenance. Park maintenance is where residents Melanie Williams-Mahan and Susie Robertson hope to help. Williams-Mahan, president of the Los Osos Kiwanis Club and executive director of an equestrian therapy service, and Robertson, owner of Squeaks, Chirps, and Bubbles Pet and Feed Store, are mobilizing community members to start an organization that will help raise money for the park and maintain it after its up and running. "I'm really excited," Williams-Mahan told New Times. "We will take over after the dog park is built with maintenance and that sort of thing." Residents who want to get involved in the effort can contact Robertson at youcancallmesusie@gmail.com. "There's a few of us but we need more," Williams-Mahan said. She described the vision for the park as "low key." "We don't want a big footprint. But it's going to be great for us. It's going to be positive for the community," she said.